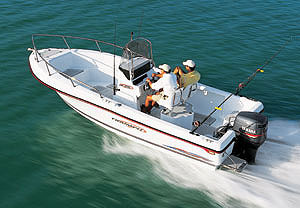 This low hour (430hrs) boat is ready for immediate use. 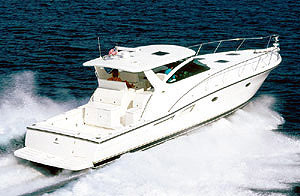 The twin Mercury 6.2 MPI V-drive engines and Kohler 13KW generator (442 hrs) are recently serviced. She is a fresh water boat that has been kept under cover. The master stateroom is mid-ship with a full bath with separate shower w/hard surface vanity and head. There is an additional full bath and separate shower with lighted mirrored vanity w/hard surface located forward in cuddy cabin with twin berths. The leather pilothouse sofa sleeps two as well as the leather L-shaped sofa in salon. The salon is perfect for the family with flat screen TV and stereo with a fully equipped galley that includes a microwave,Princess 3 burner stove/oven, dishwasher, double sinks, full size refrigerator freezer w/ hard surface counters as well as plenty of storage. 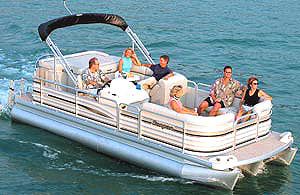 The pilothouse is a great entertainment area with plenty of seating. This one has a washer/dryer included. 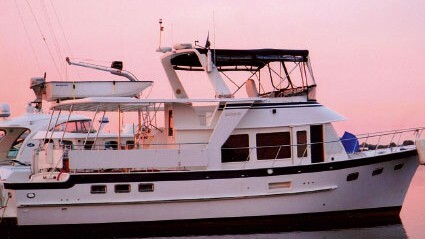 Equipped with twin reverse marine heat & AC. 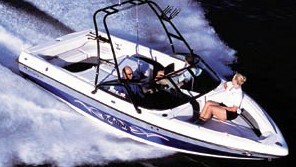 Boat has 50 amp 120/240 service w/shore power cord. 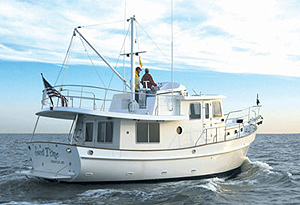 Flybridge has a full helm with Bimini top and plenty of seating. Call today!